Check out this 3 bedroom home on a large 1 acre lot. This home features a large living room with big picture window to let in lots of natural light. Eat in kitchen with newer vinyl flooring. Over sized laundry room with built in cabinetry and sink. Master bedroom with its own half bath. There are two more good size bedrooms and another full size bath. Exterior has stone and a metal roof making the home very low maintenance. 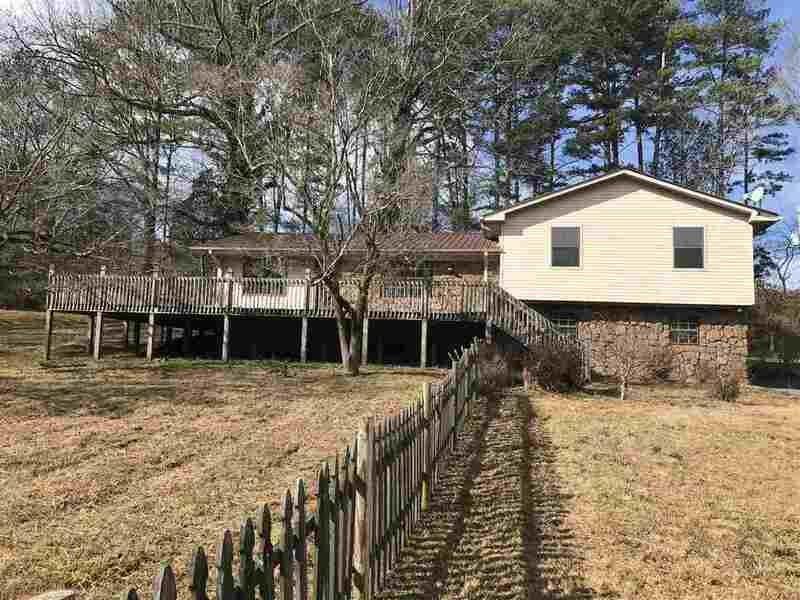 Huge wrap around deck to relax and enjoy the partially fenced acre lot. There is also a true double car garage with extra parking and turn around area already paved. This home does need some cosmetic updating but is priced to sell and is in very convenient location.